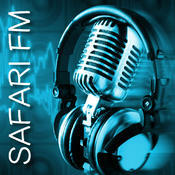 Safari FM is one of the most famous online radio station on Tanzania. Safari Radio Limited is a rapidly expanding powerful radio that is currently broadcasting in Mtwara (89.9fm), Lindi (88.9fm), Ruvuma (88.5fm), Kigoma (92.1fm), Singida 98.5fm, Sumbawanga 88.5, Morogoro 102.3fm and Geita 91.1fm. The radio is comprised of a team of multi-talented committed individuals with a good track record on providing professional broadcasting services in Tanzania. The strength of Safari Radio revolves around the number and mix of partners and personnel with wealth of professional experience within and outside Tanzania with a record of quality content creation and airing of audio and digital content to the public within the approved editorial policy framework and community expectations. The Firm is incorporated with the Business Registration and Licensing Agency (BRELA) in Tanzania under Companies Act No. 2002 as Radio Safari Limited with certificate number 71828, Tax identification number 104 028 284, Tanzania Communications Regulatory Authority Permit number TCRA/A.70/156/16 and Certificate of Incentives issued by Tanzania Investment Centre number 150034. To continue developing appropriate coordinated range of cost effective broadcasting solutions in collaboration with all stakeholders, to meet the content needs of our clients in a spirit of openness, co-operation, trust and partnership. Commitment to be a leading local radio in provision of tailor made broadcasting solutions, supported by cutting edge information technology systems and quality content services and to become the best alternative source to clients seeking affordable and quality broadcasting services from the market.